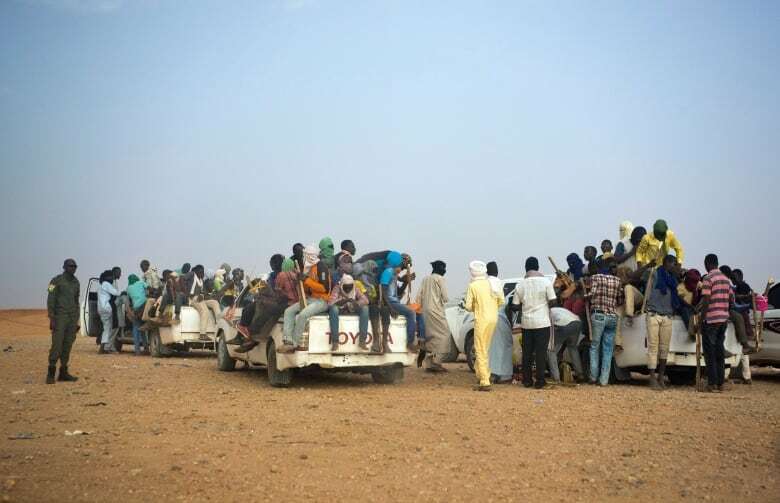 The expelled migrants can be seen coming over the horizon by the hundreds, appearing at first as specks in the distance under temperatures of up to 48 C.
In Niger, where the majority head, the lucky ones limp across a desolate 15-kilometre no-man's-land to the border village of Assamaka. 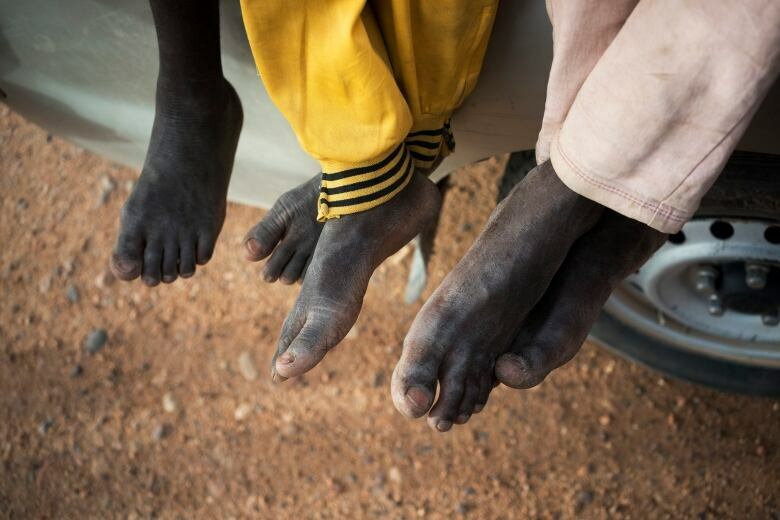 Others wander for days before a UN rescue squad can find them. Untold numbers perish; nearly all of the more than two dozen survivors interviewed by The Associated Press told of people in their groups who simply vanished into the Sahara. A European Union spokesperson said the EU was aware of what Algeria was doing, but that "sovereign countries" can expel migrants as long as they comply with international law. 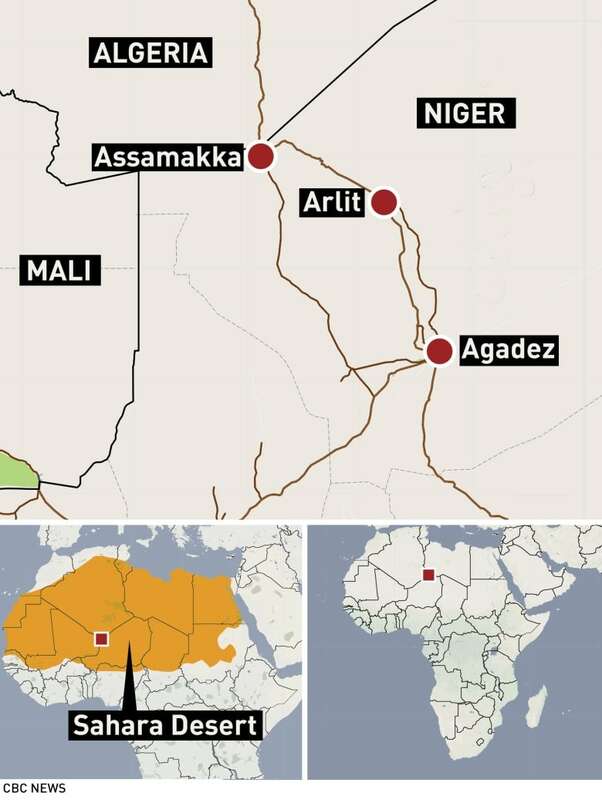 Unlike Niger, Algeria takes none of the EU money intended to help with the migration crisis, although it did receive $111.3 million US in aid from Europe between 2014 and 2017. "You're facing deportation in Algeria — there is no mercy," he said. "I want to expose them now.... We are here, and we saw what they did. And we got proof." Algerian authorities refused to comment. 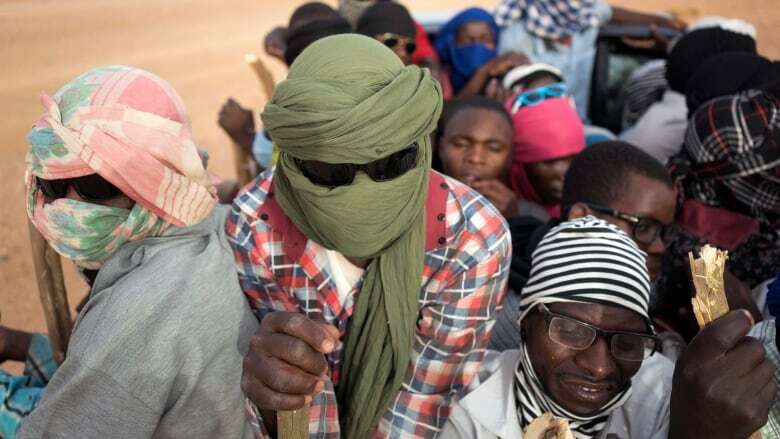 But Algeria has in the past denied criticism that it is committing rights abuses by abandoning migrants in the desert, calling the allegations a "malicious campaign" intended to inflame neighbouring countries. Most choose to leave by IOM bus for the town of Arlit, about six hours to the south through soft sand. And then on to Agadez, the Nigerien city that has been a crossroads for African trade and migration for generations. Ultimately, they will return to their home countries on IOM-sponsored flights. Every Monday evening, dozens of pickups filled with the hopeful pass through a checkpoint at the edge of the city. They are fully loaded with water and people gripping sticks, their eyes firmly fixed on the future.